The weather has been crazy hot these days and even with the occasional thunderstorm, it is still really humid. Times like this, you need some cooling down. What better way than to indulge in some ice tea (our current craze at home is Korean barley tea) and a nice Summer sewing magazine! For those of you who are fans of the old Cucito magazine, this publication Cotton Friend Kids! is published by the same company – Boutique-Sha, which is also the publisher of Cotton Friend. Since the Cucito magazine has been phased out, it has been replaced by the following publications. Cotton Friend Kids! Published twice a year in May and October. 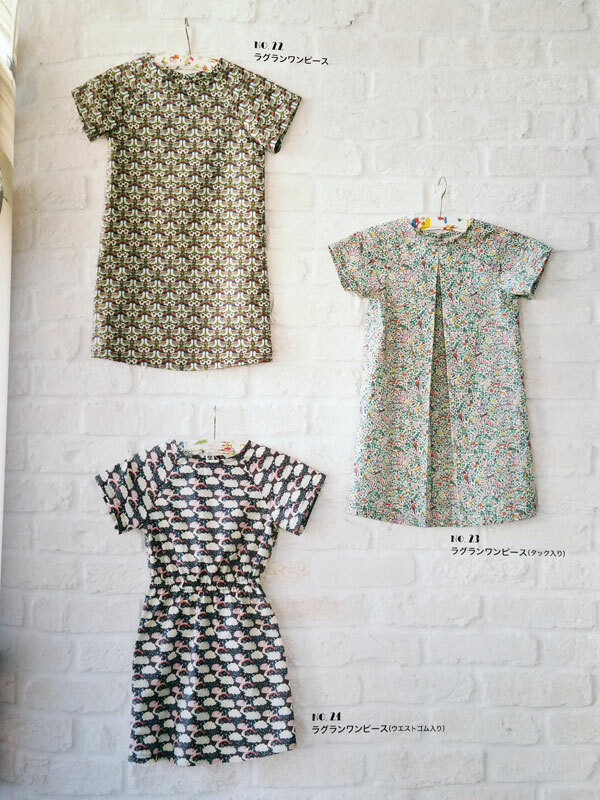 A School Goods sewing special, and Easy Handmade Clothes for Kids (published twice a year in April and September). Keeping in mind that these are more of sewing magazines than books, expect to see ads for fabrics and sewing machines. I hardly mind, since it updates me on the latest fabrics and machines and sometimes even other crafty stuff in Japan. On the cover – Pretty and Cute Handmade Summer Kids Clothes. Sub-headlines include : Summer Liberty Print Sewing, Let’s enjoy a birthday party, Remake paradise for kids, Cute accessories for kids, and lots more in the book. Let’s have a look! A quick glance of the 61 projects in this book! From clothes to cute accessories. A big plus point – sizes 100-150cm are covered in this book. Which is why I bought this book because I really need more books with sizes > 140cm. Most kids sewing books stop at 120/130cm. The first project – a cute peplum top with a chevron print. There are cross back straps at the back which makes it a really cooling top for the summer, unfortunately there were no photos of the back view in the book, but the back cross straps can be seen in the sewing pattern instructions. Got-to-make summer staples – T-shirts with variations for boys and girls. I’ve blogged about books on the Jinbei before but never attempted to make one. I am thinking about making one for my boy if I can find a book with his size. Unfortunately he can’t fit into a 100cm yet. These look really cute and comfortable. Another Summer bottom staple – Shorts! Perfect for running around the playground on hot sunny days. The girls get a more feminine scalloped edge around the hem, and don’t you love that contrast band on the front of the pockets? A cute parka suitable for both boys and girls. Love that fabric from Cotton and Steel. I have never bought any Cotton and Steel fabric before. Yup I know, I’m so behind the times! Girls will love these cooling summer blouses made with fabrics from Panduro Design. I must say it’s the first time I’ve heard of this company. This is not a Japanese brand, but if I googled correctly, it is a company from Sweden. Which explains its beautiful simple geometric prints. My girls will love the top on the right made with Emma Turquoise. I don’t have any idea where to buy this fabric though, if any of you know where to get this online, do leave a comment below and share! What’s summer wear without a bright and colorful shirt for the boys. Fabrics from Dashwood Studio – Street Life collection, a UK based textile design company. Next up is a Liberty Fabric special. Liberty needs no introduction. This feature showcases fabrics from The Liberty Story Book Collection. I searched on the official website but could not find this group of fabrics, so I think this is just a marketing term rather than a real “collection”. These are mainly fabrics inspired by story books, such as the Elodie Bea, Fairyland, Land of Dreams and so on. Simple clean designs for gorgeous fabrics. Fabric from top – Strawberry Feast, Toy Garden, Hiding. The next feature special is on Birthday Party Clothes and cute accessories. Not your usual formal party wear, but still looking cool and comfortable. The length of the pants makes it easy for kids to still have a whale of a time even though they are dressed up! A matching collar and skirt over a simple white blouse. Comfy and cute! I seem to be seeing these clothes Reform/Remake themes quite frequently nowadays. So hold on to your old clothes and check out these ideas for turning your old into new clothes for your kids. These pants are made using Ladies size M pants. My girls are thrilled taking over my hand me downs, but my boy isn’t of the age where he can protest my wardrobe choices for him yet, but I have this feeling that boys won’t like it that much? Lol, I don’t know, let me know what you or your boys think about this idea? If they have a favourite pair of jeans that they have outgrown but can’t bear to throw away, turn it into a keepsake by converting into a cute backpack. 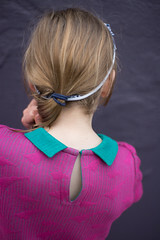 Not a new idea, to turn an old shirt into a girl’s dress, but I like how this is done back to front so that the original buttons lie to the back. I love this idea because I hate making buttonholes. The added frills on the front are cute and really makes full use of the fabric and minimises wastage. What’s summer wear without hats? Check out this cute ten-gallon hat. Ok, it’s just another fancy name for the cowboy hat. Don’t you just love these super cute bags and pouches in the shape of summer fruits! The next feature is about hand towels. Wait what…Hand towels?? Yup, Tenugui or Hand towels. These are usually thin cotton hand towels, usually 35cm x 90cm and usually printed with a repetitive design. They can be found easily in the 100 yen shops and also upmarket souvenir shops (with better quality fabric of course) and have many uses. You can use them as headbands, aprons, gift wrapping etc. They are so pretty and come in so many designs that you can buy them as souvenirs too. I can never resist them. In fact, I just bought some last week from Daiso. It is a cute idea, but are they are pre-cut, you have to buy a few to make up one garment. The above examples in the book were made with 3 pcs each and are for sizes 100-110cm. Tenugui from Hamamonyo. These were the ones I bought from Daiso, the fabric is pretty thin though, I doubt you can make clothes out of these. Another fabric special feature, this time by Andover fabrics. I am so loving the flamingo print on the rucksack that the girl is carrying. It’s only a small picture in the book, but here’s a closer look.The grey bias and gold hardware goes so well with this beautiful print. Now for some details on the sewing instructions for the sewing projects. Bust / Waist / Hip / Back length / Sleeve length / Rise / Inseam / Height. All units in cm. For each project, the materials and completed sizes are presented in a very clear table and color coded as well. The first table is for Materials, i.e. how much fabric + materials you need for each size. The bottom table is for the completed size of the garment. As you may have noticed, many of the blouses and dresses in this issue are based on the raglan blouse pattern, so there is one detailed lesson for making the raglan blouse and dress. Close up of step by step photos. For the majority of the patterns though, the how-to-make is presented in colorful diagrams, which are just as easy to follow. The added touch of color and fabric print in the diagrams makes it instantaneously easy to differentiate between the front and back of the fabrics. Close up of the diagrams. Happy New Year! I hope you all had a restful holiday period. I did enjoy myself and I think ate a little too much during the Christmas and New Year period but I also got started on my spring cleaning. Chinese New Year is less than a month away and there’s just so much cleaning and sewing to be done! What better way to start the new year than to review the January issue of Cotton Time magazine, which is also focused around New Year crafts and crafts for sprucing up the home. With every January issue of Cotton Time, there is a free calendar booklet. And it’s not just a calendar, it contains 12 craft patterns, one for each month. Ok I confess, I bought the magazine just for this calendar. But isn’t it pretty? Imagine while you fill up your calendar with your sewing schedules, you can get inspired to make something at the same time! The pattern templates and instructions are included at the back of the calendar booklet. Each pattern comes with the instructions like above. New Year’s Day may be over but there are still may occasions where you can make use of these paper embroidery card ideas. There are more examples in the magazine with different embroidery patterns and even embellishments with sequins and beads. Time to give that toilet a makeover. With co-ordinated accessories, no less. This little cardboard house is actually a storage box. For your little knicks and knacks in the bathroom. Out of the toilet, to other parts of the house. Sewing is a great way to spice up your decor with beautiful fabrics. And this is a great way to make use of those scraps as well! I love these co-ordinated bucket totes. These will be perfect for storing toys and laundry. As usual, there will always be some bag patterns in Cotton Time. This is a matching mother+daughter boston bag. They are basically the same bag but in different sizes and fabrics. I’ve been seeing these wire frame pouches quite frequently on social media. These particular pouches, in 3 sizes, are made using wire hangers, no special frames are needed, but you have to cut up some of your wire hangers. I thought this was so cute, it deserves a special mention. This is more of a semi-circular shape wire frame pouch, but I love the use of the poodle fur fabric with the tartan checks. Even the lace embellishment was spot on. I could never have put this combination together myself, doesn’t it look perfectly cute together? Another wire frame pouche, this is a case for a foldable umbrella, but I don’t see why you can’t use it as a pencil case too. Handicraft feature of this issue, no sewing involved, but I thought it was really cute! I even went to the Daiso to look for this Oyumaru, which is apparently a plastic or was it silicone clay. It looks like something my girls will enjoy doing. Although I am wondering if it is toxic. A search on google didn’t tell me much, but I did find lots of people talking about this, as well as youtube videos. So it can’t be a new thing. Just some pictures showing you how you can make candy out of it. Apparently you only need to heat it up with hot water and it will soften enough for you to mold it into any shape you want. The usual back to school sewing series. Patterns and fabric ideas for both boys and girls. This is a mini gauze handkerchief. I think its a great idea! Two layers of gauze sewn together, in a long slim shape, you can just fold it in half and it becomes a square. Saves time on folding hankys. I have lots of little pieces of double gauze that will be perfect for this. A bag for PE gear. 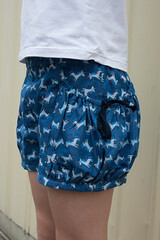 Not the usual drawstring bag, I like the nautical style and the extra flap on the top. There is a special contest sponsored by Inazuma (bag handles and purse frames maker), inviting participants to upcycle anything while making use of their handles or frames. The winning entry was this purse frame bag made out of an old puffy jacket which I thought was a really cute idea. 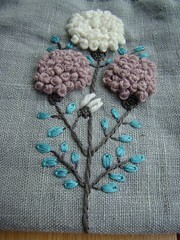 There is also a free sewing lesson with detailed photos on how to make these gathered or tucked bags. Last September, I bought this magazine – Cucito Fall 2014. It was lying on my desk with a pile of other Japanese sewing books for review and when I came to it, I thought it was quite late into the Fall season to review this. There were patterns for Halloween which was over by that time. The clothes were also more suitable for fall than winter. So I left it out, not knowing it will be the last of the series! …. .·´¯`(>▂<)´¯`·. This was the oldest magazine I could find in my collection. Released in May 2007. Look at that price! (That’s about 8USD) These magazines are more than half the price of regular sewing books, but contain more than double the patterns. This is because as a magazine they have loads of advertising, with sponsored projects by fabric companies/stores, as well as sewing machine companies. Kodomo magazine contained only kids patterns. Patterns for boys and girls, babies, as well as kids accessories like bags and crafts. There were not many step by step photos, and seem to cater to an audience of mothers who are more advanced in sewing since there were not many beginner instructions. Cucito was the successor to this magazine and it was more beginner friendly, at least in my opinion… There were also matching patterns for Mums and kids, as well as more sewing lessons with step by step instructions. Unfortunately, Cucito seems to have run its course. On the publisher’s website, it states that the last issue of Cucito will be the 2014 Fall edition. It goes on to mention that they have been publishing Children’s sewing magazines, starting from Kodomo boutique since 1974! That’s a whopping 40 years! A whole bunch of patterns. From tops, to bottoms and accessories. For both girls and boys and some for Mums too. Recent issues of Cucito have also featured patterns for the in-between age group of Tweens. i.e. 130-150cm. Boys and girls patterns, featuring the latest fabric range. Instead of a standard format magazine released every season, the publisher says that they will be publishing 5 magazines in different formats and content to update it to today’s sewing needs. So do look out for those as well. I have already reviewed the first one, Cotton Friend Kids. Pricing wise, it is more expensive than the original magazine, at 972 yen compared to 880 yen for Cucito magazine. I won’t be reviewing the Handmade school accessories book because I have way too many school accessories books lying around and they are really mostly the same patterns. I picked up the crocheting bug a few years ago when looking for winter patterns. Crocheting is a very therapeutic hobby and very portable as well since you can’t lug a sewing machine everywhere you go. So when I saw this new magazine – Sewing & Crochet, I knew I had to get it since it combines both of my favorite crafting activities! You can see that it’s a relatively new magazine, vol. 2. I bought this magazine in December when it was still new, but never had the time to review it. By this time I am publishing this post, vol. 3 should already be released, but no matter, let’s have a look at what this magazine is all about before we decide whether or not to buy the next one! The magazine kicks off with the sewing projects, lots of bags. The cover did mention that the feature for this issue will be granny bags. So we will see lots of them in different variations. Mini bags! Tote, Granny, Drawstring versions. Great for holding small change or small items that can easily get lost in your big bag. You can make this accordian pouch with all fabric instead, but when using fabric only, use a thick interfacing to give it more structure. Interesting idea and pattern for a bag. Using leather straps and rivets. I suppose it adds to the strength as well? Other than sewing patterns for bags. There is also a pattern for a wrap dress, with a complete step by step sewing lesson with full color photographs. More sewing of small accessories like this detachable pocket pouch. Usually seen in kids magazines but sized up for adults. Adults will find this useful too! Matryoshka doll felt keyholders! Too cute! Travel pass case in the shape of a luggage. Moving on to the crochet section of the book, we start off with a simple cover for umbrella handles. Some of the basic crochet techniques are covered with step by step photographs, like the above which shows you how to make a magic circle/ring for the start of the base of a bag/tube. This eliminates the hole in the base that you will find when using the traditional starting chain ring technique. Very useful and necessary for making Amigurumi patterns. What’s a Japanese crochet book without Amigurumi patterns! According to wikipedia, these are crocheted stuffed animals and this term is a combination of the Japanese terms for crochet and stuffed animals. The trademark aesthetic is cuteness. (of course!) In this issue, learn to make some cute woodland animals like the squirrel, bear and rabbit. Can you also tell that the 3 animals have a similar shaped body? There are actually hidden plastic clothes pegs in each of them, so that you can use them as clips for holding namecaards, or attaching to your bags, or even to a stroller strap for a baby to play with. Other than Amigurumi patterns, there are also some practical crochet items for decorating the house, like these comfy looking chair pads. As this magazine was published in November, there was also a section on decorating with sewing and crochet projects for Christmas. Christmas is over but I can keep these patterns for next year I guess! Love this multi-color crochet ribbon wreath. It’s made of multiple ribbon bows. Will be a great use of wool scraps. Make a triangular Christmas tree. Step by step instructions included. There were many more projects that I did not show here because there were just too many! If you like both sewing and crochet just like me, you will love this magazine. I’m looking forward to the next issue for more Spring sewing ideas. Before the excitement of receiving all the English translated books over the past few weeks, I had accumulated a number of Japanese sewing books that I’ve been wanting to share with you. I thought I had better review this before the season is over! Cotton Friend Kids! is a special edition from the Cotton Friend magazine. Most Cotton Friend magazines are adult oriented with some matching patterns for kids. This special edition is the complete opposite. This magazine focuses on patterns for kids (both boys and girls), and a few matching patterns for Mum. All the projects included in this book! The book starts out with a series of matching outfits for Mom and Kids. The awesome thing about this book, and probably due to the fact that it’s actually more of a magazine with advertisements, all the fabric sources are listed. A cropped sleeve tunic dress with a tie front. Tunic with elastic gathers made using the new cotton sateen range from Echino. Simple coat (without lining) made with fluffy wool knit and enclosed with snap buttons. The next section features a basic tunic pattern, and how you can make simple modifications to it to make various outfits. For this basic pattern, there is a 6-page tutorial with full colored photographs that show you every step of the making progress. A Liberty x Hello Kitty special. It’s not the first time Liberty prints have featured Hello Kitty, but this range was created for the 40th anniversary of Hello Kitty. The blouse above is a round neck blouse with gathered sleeves and lots and lots of frills on the front (you will need 1.4-1.7m of fabric for this blouse alone!) That’s like a really expensive blouse! There are also matching collared shirts for Mom and daugther. Close up of the Mom’s shirt. This is my favourite print of all the 40th anniversary prints. This print is called Hatsune Garland. There are also patterns for accessories made using the same fabric. Which is great given that the fabrics are so expensive. I may be better off buying a small fat quarter and making accessories out of it instead. These cute hood jacket and vest are made using nylon quilt fabric. Another tunic style dress, but I like it because of the fabric – Autumn Woods by Moda Japan. These hooded parkas are made using waterproof nylon and have a slit opening in front. The front of the jacket is a high neck enclosure with velcro for easy wearing. Some straight sewing patterns – read – no pattern tracing yay! Love the cute fabric on the top by the way, it’s from Brita Sweden RUT in 05 Pink. Make a cute pair of ear muffs (I don’t quite see the animal motif/design in this one :P) and turn an ordinary pair of mittens into cute little kitten mittens! The next section is a really cute idea. I have actually bought fleece blankets for sewing projects, as they come with super soft textures and prints that are cuter than those you can find off the bolt. These fluffy blankets come in sizes of 100cm x 70cm, made of fluffy fleece and are already quilted. The two vests above are ingeniously placed cut so that the binding around the blankets doubles up as the binding on the vest, so the only bias you have to sew are around the armholes and neckline. Option 2 – make a hooded poncho. However, this particular pattern requires two pieces of blanket. One for the main body and one for the hood. You will be left with quite a lot of excess material from the piece used for the hood though. But you can always make a matching pair of socks or mittens or something? With the exception of the full color step by step photos tutorials, the rest of the patterns are presented as above, in diagrams with color prints to indicate the orientation of the fabric. There are 2 sheets (4 sides) of patterns included. Note that there are many other projects using straightline sewing in the book, for those you have to construct your own patterns. But they are usually simple rectangles with slight deviations and are easy to make.